Which product would you think would be more expensive: one with more ingredients, or one with fewer ingredients? If you guessed one with fewer ingredients, you would be wrong about the majority of packaged, processed foods. Natural, minimally processed foods without artificial ingredients often cost more than heavily processed packaged foods with an ingredient list a mile long. It's completely counterintuitive, right? To really understand why this happens, you have to understand the industrial food system. Ten major food companies control nearly all of the conventional brands you see in grocery stores, as Business Insider reported. These multinational corporations have slowly gobbled up smaller brands, meaning that the thousands of brands you see in a grocery store actually trace back to a handful of owners. Over time, as these multinational corporations have dominated the food industry, they've found new ways to produce more food at lower costs. This concept is called economies of scale — as the quantity of a product increases, the cost of production decreases. The food industry has really taken it to another level, however. Foods are processed in several different ways. Some, like canned fruit and vegetables, are simply cut, cooked and preserved. Frozen fruit and vegetables go through similar processing. These preserved foods often have high sodium or sugar content, but otherwise aren't too concerning. 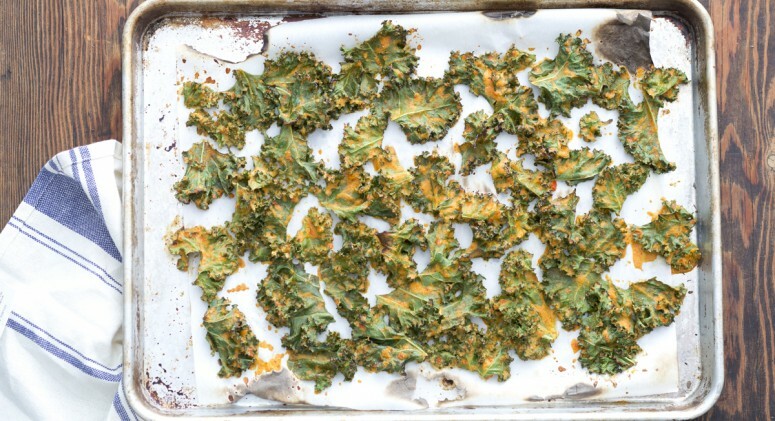 Others, like packaged snacks and prepared meals, go through more extensive processing. These heavily processed foods come with the biggest health concerns. Many frozen foods and pre-made meals contain artificial ingredients like synthetic preservatives, flavoring, and sweetener. Some of these artificial ingredients (the preservatives) extend the foods' shelf life, and others (the sweeteners and flavorings) make cheaply produced ingredients taste better. Most of these additives cost manufacturers very little. Why? Because many of them, like the sweetener high fructose corn syrup, are made out of corn. The United States grows more corn than any country on earth — about 90 million acres per year, in fact. According to Take Part, less than 1 percent of that corn actually makes it to markets. The rest is used to make filler ingredients like high fructose corn syrup or feed commercially farmed livestock. Corn can also be used to make vegetable oils, another additive that extends the shelf life of processed foods. To turn a liquid oil into a solid fat, manufacturers partially hydrogenate these oils — a process that creates trans fats. These fats raise your bad cholesterol and lower your good cholesterol, which over time can lead to heart disease and stroke. High fructose corn syrup, on the other hand, has its own set of health concerns. The body uses it in much the same way it digests table sugar. As you eat more foods with high fructose corn syrup, your body will crave more. Over time, you will crave more and more sugary, less nutritious foods — and we all know this isn't ideal. Here's the good news: Consumers are becoming more and more aware of this process, and are starting to demand healthier foods. A recent study by market research firm Edelman Berland showed 55 percent of consumers think "America's approach to food is on the wrong track," and 75 percent say it is important that food companies change their products to make them healthier. Another positive: The natural foods industry operates on an entirely different model. Because consumers who buy organic, natural or non-GMO foods know they want healthy, minimally processed products, natural companies do not use the same industrial practices as the mainstream food industry does. Of course, because the natural food industry operates on a smaller scale, their foods are often more expensive (economies of scale, anyone?). A final, amazing piece of good news: We can reverse this trend, and make natural foods more affordable for everyone. 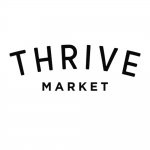 For starters, a new online marketplace called Thrive Market is selling wholesome, healthy food at wholesale prices. 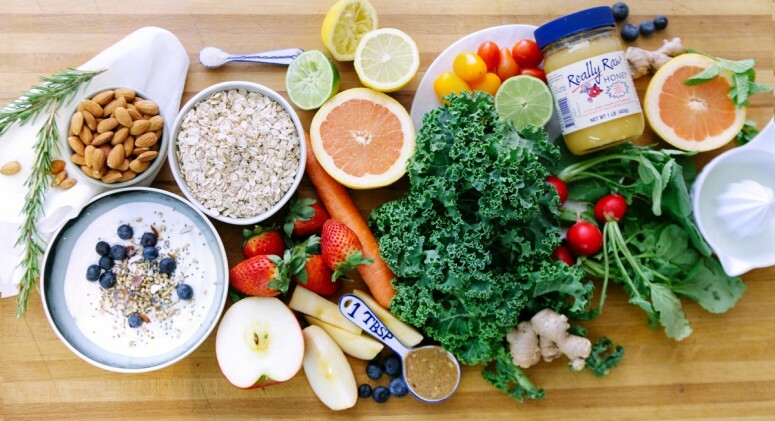 Thrive Market buyers work directly with brands to purchase wholesome foods and products at wholesale prices. These prices are typically 25 to 50 percent lower than what you would see in a traditional retail store. 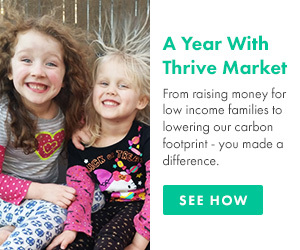 Instead of adding on an enormous retail markup, Thrive Market passes the savings on to their customers. All of the products Thrive Market offers are sold at true wholesale prices. Like Costco or other warehouse clubs, Thrive Market is membership based. Thrive members purchase a membership for $59.95 per year. That's just $5 per month, if you break it down. Once you become a member, you can access more than 3,000 of the top organic, non-GMO, healthy products. You can simply browse the website, fill your cart and have your order shipped to you. This membership model has an important function. There's strength in numbers — in other words, Thrive Market's buying power, and the ability to get great deals, increases as membership increases. While processed foods will continue to be cheaper than healthier, minimally processed foods, there is hope on the horizon. The more consumers demand natural foods, the more affordable they will become.